On the 29th of January, PGEU met, along with other healthcare professional stakeholder groups, Xavier Prats-Monné, Director General of the European Commission directorate in charge of health and food safety (DG SANTE), to explain the role pharmacists play in raising awareness on the need to vaccinate and also the role pharmacists play in vaccinating the public in Europe. On the 2nd of March, PGEU together with the European associations representing manufacturers of medicinal products, parallel distributors and healthcare distributors published a joint press release ahead of the Bulgarian Presidency event ‘Health as the Real Winner: Presidency conference on options to provide better medicines for all’ which took place on the 6th of March in Sofia. 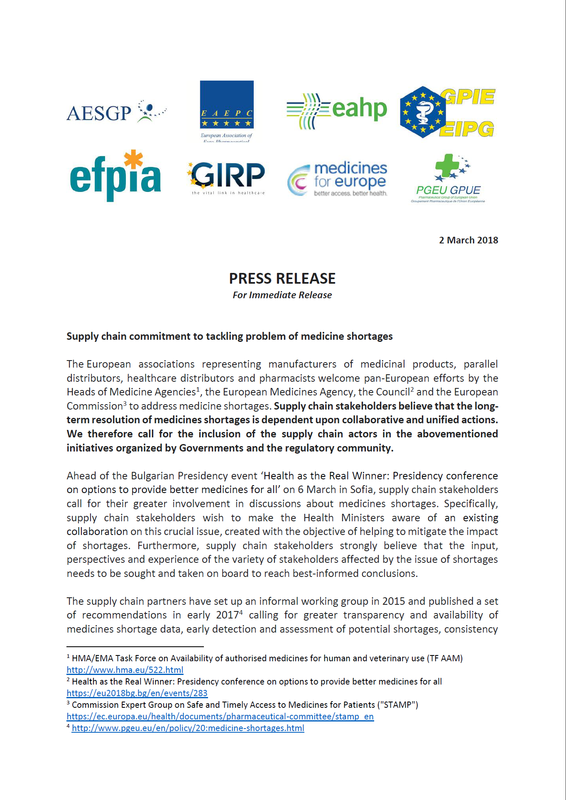 Supply chain stakeholders called for their greater involvement in discussions about medicines shortages. Specifically, they highlighted their wish to make the Health Ministers aware of an existing collaboration on this crucial issue, created with the objective of helping to mitigate the impact of shortages. 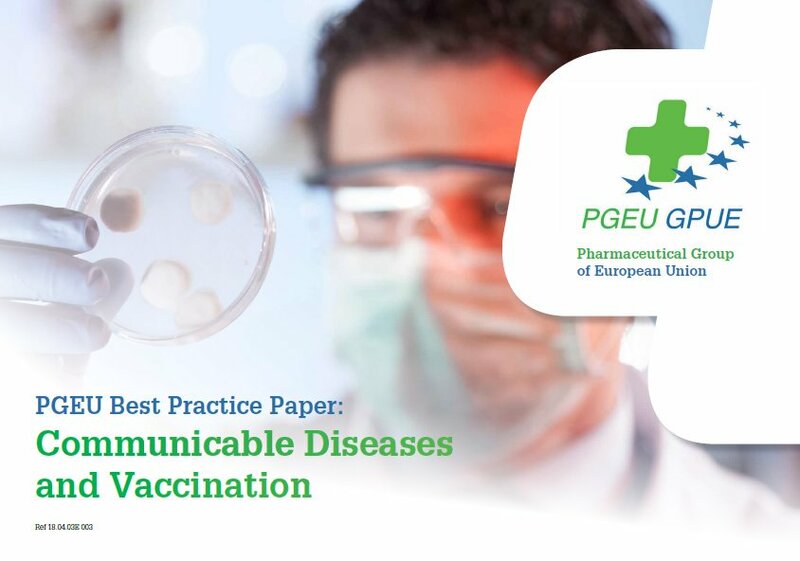 On the 26th of April, PGEU published a Best Practice Paper on Communicable Diseases and Vaccination as a response to the European Commission Communication on Strengthened Cooperation against Vaccine Preventable Diseases. The PGEU Best Practice Paper provides an overview of the best practices, activities and services community pharmacists offer with respect to communicable and vaccine-preventable diseases, as well as several key recommendations. 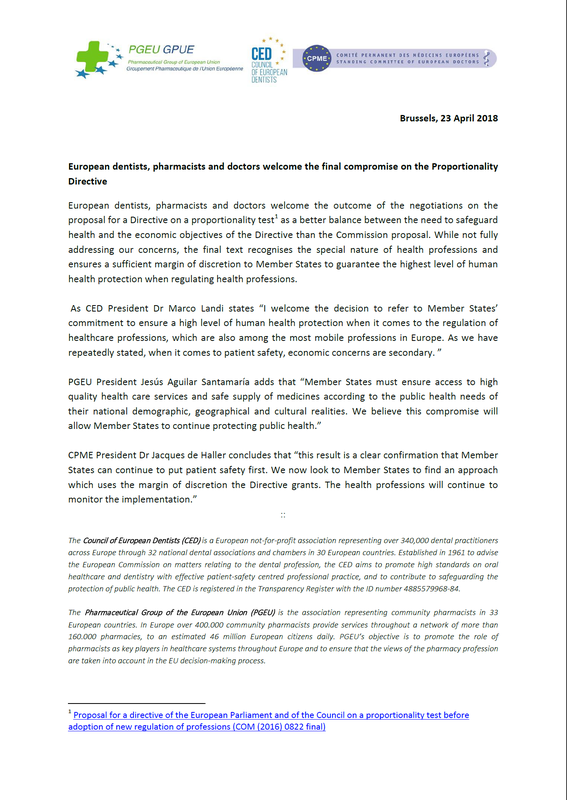 On the 16th of May, PGEU published a position paper on ‘The effects of deregulation of distribution channels for non-prescription medicines in Europe’ (NPMs). The paper explains the vital role of community pharmacists in ensuring the safe and rational use of non-prescription medicines. 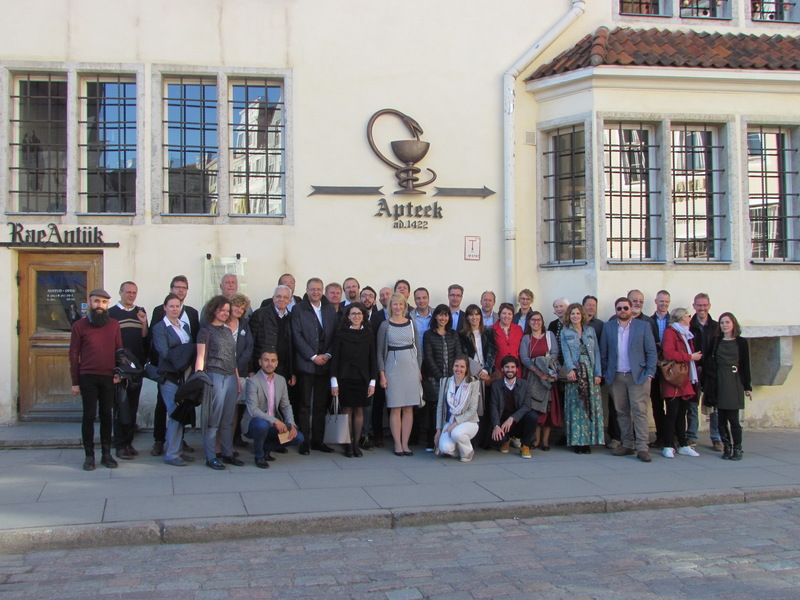 PGEU May monthly meetings were hosted by the Estonian Pharmacy Association in Tallin, Estonia. They provided an excellent opportunity for PGEU members to become better acquainted with the activities of our Estonian member and national public health projects including on eHealth. During the visit members also had the opportunity to meet with Estonian Department of Health officials and a visit of the oldest European pharmacy still open to the public, which celebrated its 595th anniversary in 2018. 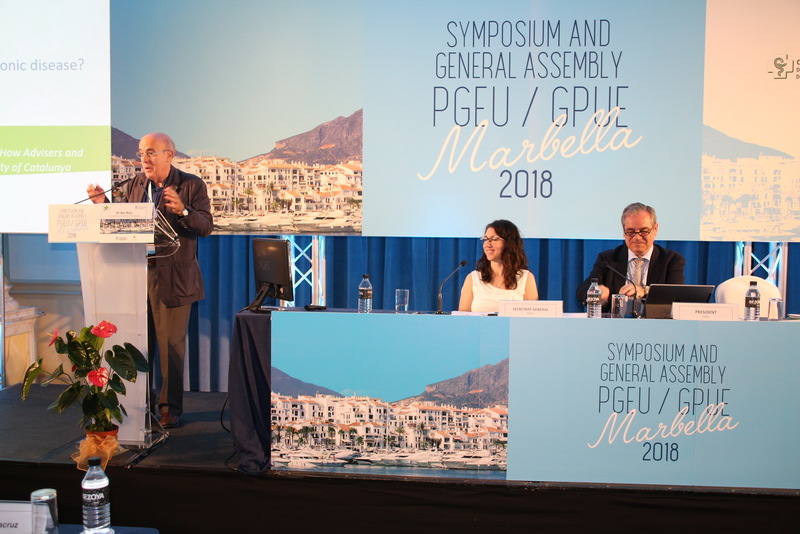 On the 19th of June, PGEU, together with the PGEU Spanish presidency, organised the PGEU Annual Symposium entitled “Measuring and rewarding success in healthcare” in Marbella, Spain. 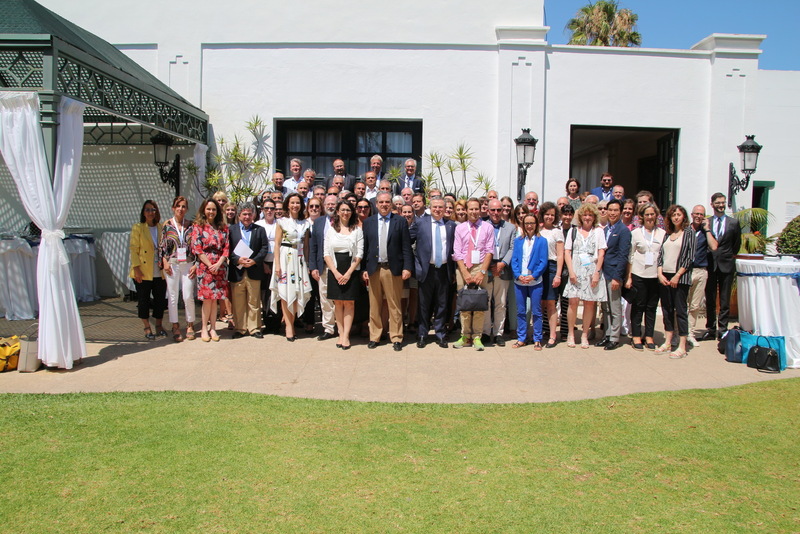 Distinguished speakers, including representatives from the OECD and WHO European Observatory as well as academia members and community pharmacists, explored issues such as better ways of remunerating healthcare services and considered what makes a health system successful. 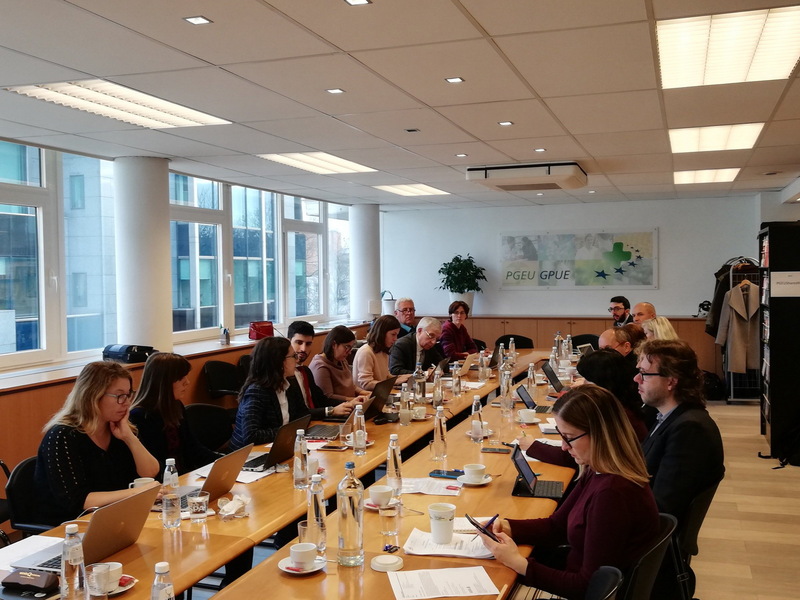 PGEU member countries and beyond also shared pharmacists’ best practices on management of chronic diseases and early detection of such diseases (e.g. diabetes). On the 29th of July, the Proportionality Test Directive entered into force. Member States have until 30th July 2020 to transpose it into national law. The Directive sets EU-wide criteria for Member States to take into account when assessing the proportionality of new regulation of professions and applies to national rules of access to and exercise of health professions. PGEU welcomes the fact that the Directive includes a set of provisions which explicitly recognise the special nature of health professions and grant a sufficient margin of discretion to Member States to guarantee the highest level of human health protection when regulating health professions. 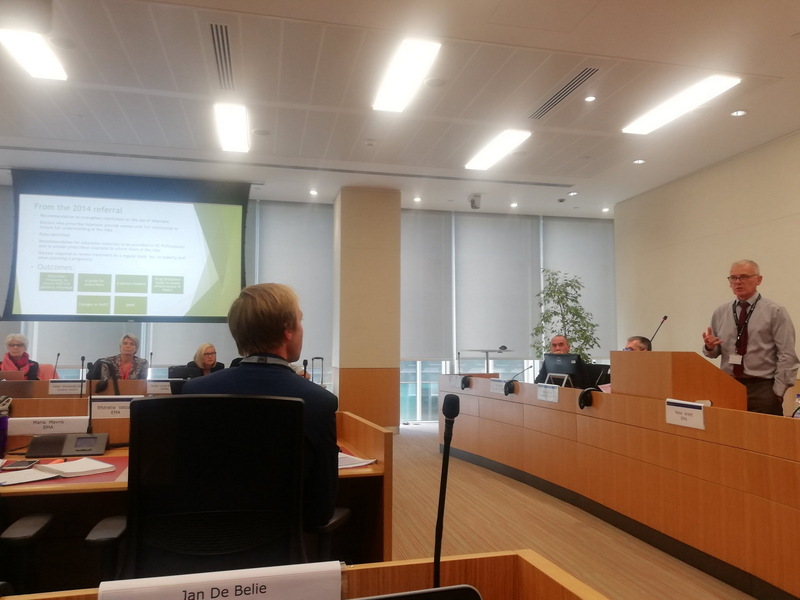 On the 24th of September, PGEU attended the EMA Pharmacovigilance Stakeholder Forum and presented the community pharmacist’s vision on pharmacovigilance in the next 5 years, building upon the recommendations made in the 2017 PGEU Best Practice Paper on Pharmacovigilance on Risk Minimisation. The representative of the healthcare professionals in the EMA committee responsible for assessing and monitoring the safety of human medicines (PRAC), Raymond Anderson, presented the community pharmacist’s perspective on the Valproate case study. 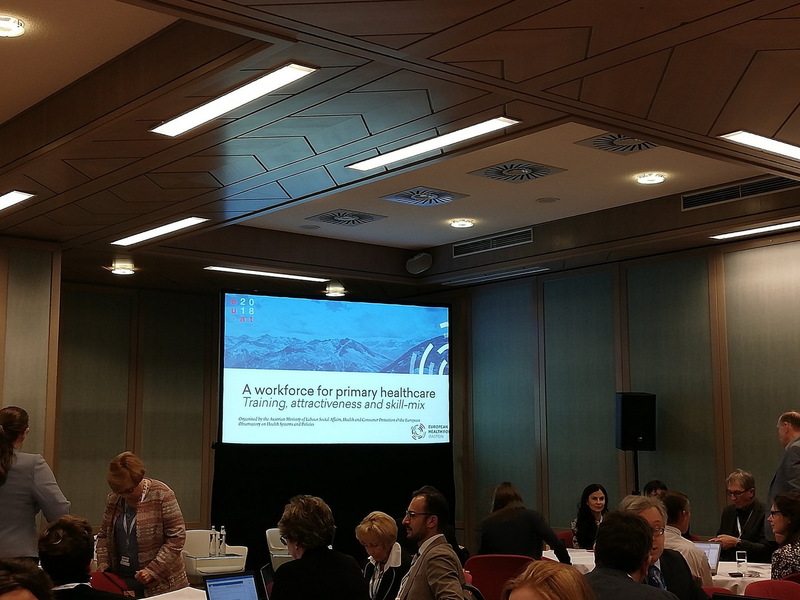 From the 3rd until the 5th of October, PGEU attended the European Health Forum of Gastein which was centered around the topic “Health and Sustainable Development - Bold political choices for Agenda 2030”. 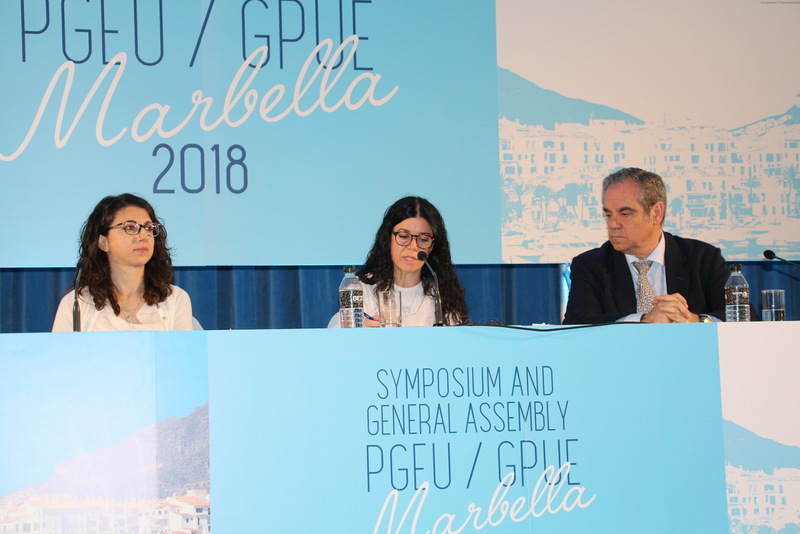 PGEU participated in a panel on a life-course approach to vaccination and moderated a workshop on the complementary roles of healthcare professionals to increase vaccination coverage rates across Europe. 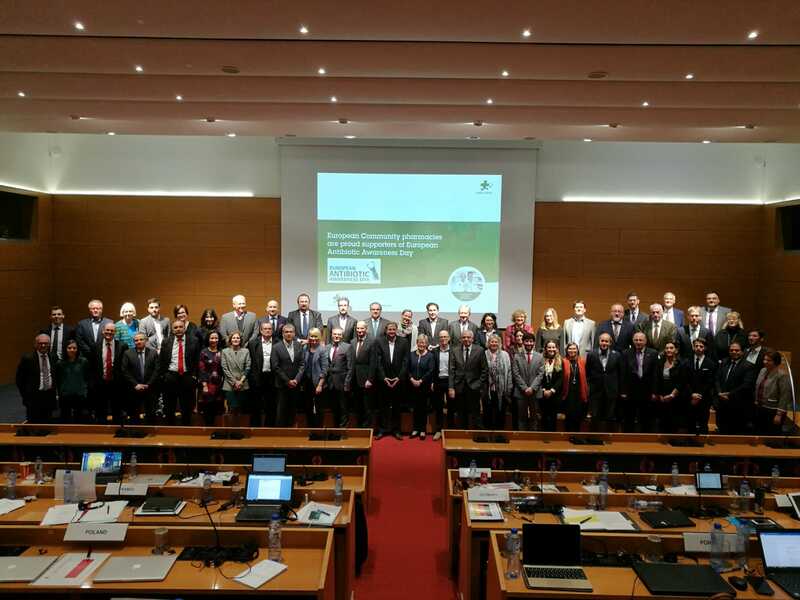 On 15 November, the PGEU General Assembly reinforced their support for the 2018 European Antibiotic Awareness Day and their commitment to help tackling antimicrobial resistance (AMR). Community pharmacists play pivotal roles in counselling patients and promoting the appropriate use of antibiotics. They provide preventative action, referral, disposal, treatment in the pharmacy and constantly strive for quality improvements and innovation in pharmacy practice. Read more in our PGEU Best Practice Paper on AMR. On the 7th of December, the Council of the European Union adopted a Recommendation on strengthened cooperation against vaccine preventable diseases. The Pharmaceutical Group of the European Union (PGEU) welcomes the Council Recommendation as a basis to improving vaccine coverage and tackling vaccine hesitancy in the EU. 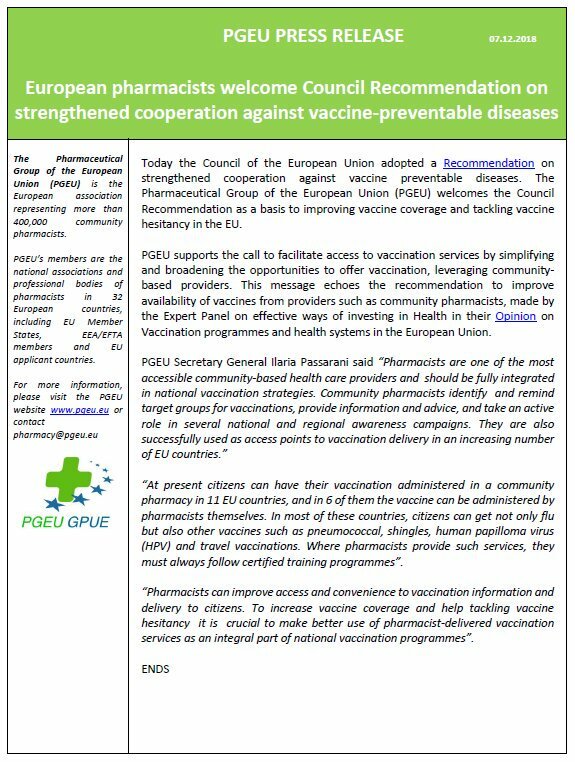 PGEU supports the call to facilitate access to vaccination services by simplifying and broadening the opportunities to offer vaccination, leveraging community based providers. This message echoes the recommendation to improve availability of vaccines from providers such as community pharmacists, made by the Expert Panel on effective ways of investing in Health in their Opinion on Vaccination programmes and health systems in the European Union. Read the full PGEU Press Release here.